Marvel’s Spider-Man: The Heist releases on October 23rd. In case you missed it, here’s another look at the teaser! That’s all for now, be sure to keep an eye on the Insomniac Games Twitter, Facebook and Instagram feeds for all the latest! Got the platinum last night. Spider-Man is my favorite game of all time. Immediately bought the season pass and I NEVER buy dlc. 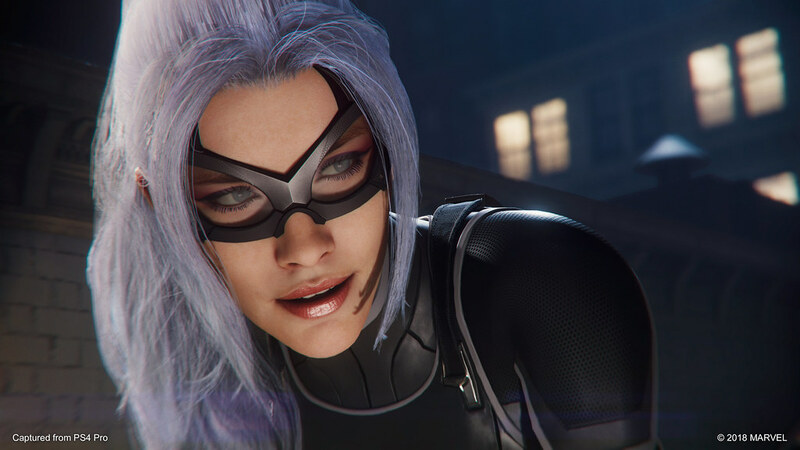 I so exited that black cat is coming to this universe she is my favorite marvel female character. it will be amazing if I can play with spidy and black cat together. I am really looking forward this dlc. 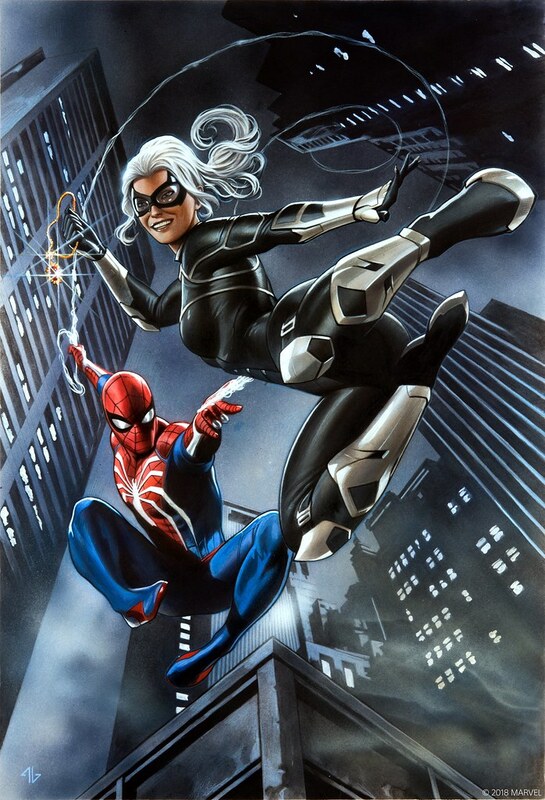 That say I don’t like the chose of extra costumes I fell them so lack luster they feel like they say we need 3 costumes for this dlc well we are working on this 3 ok put them in they have no flavor with the dlc I will love a costume more related with Black Cat I know the one from back in black is probably the more related one but maybe an original costume that is more in line with Felicia new costume. Just use the one you earn in the main game, bro. Spider-Man was great; I’m looking forward to the DLC. Do you have an idea of how much content is in each chapter? It ok but cat woman!!!! I guess each suits comes with new abilities as well? 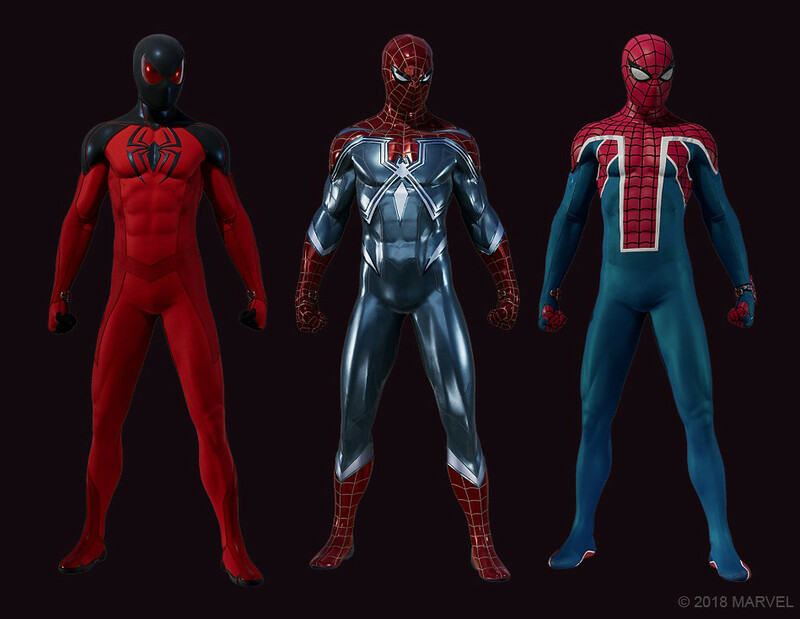 That would be cool, but some of the other suits we can get in-game don’t come with any powers so wouldn’t be surprised or upset if these new ones don’t come with any new power either. But when do we get that Spider-Cop suit everyone so desperately yearns for? Outside of the new suit, and the classic suit (which I dislike the fat spider), I am very disappointed with the Spider Suits. Even these ones, are alright. The Scarlett is cool. But can we get The Amazing Spiderman 1 & 2 suits? I actually like the first two suits. Loved that Scarlet Spider outfit and the new Insomniac design looks slick. I just, UK Spider was not one I was expecting. I think everyone was expecting another movie suit, whether from Amazing Spider-man, or even the Raimi suit. Personally I love Spider-Man 2,so of course I want the Raimi suit, but maybe best for last? If you haven’t gotten Platinum yet, will the new trophies be required to get it? That’s never how platinums work. Only the original trophies matter for getting the platinum. The new trophies will affect the percentage though. The new trophies also won’t take your platinum away if you have it already. Only your 100%. I am hoping the Amazing Spiderman 1 & 2 suits will be added. Y’all know it’s Raimi’s Birthday on the 23rd right? How y’all not gonna drop the Raimi Suit??? Those suits look awesome. The one on the left looks like Scarlet Spider’s from the cartoon Ultimate Spider-Man. I still hope we get the symbiote suit, even if it’s only cosmetic. where is new game plus?!?!?!?! For me,it appeared on the 19th of October,around 8 pm Vienna time.